It could be argued that today’s business challenges are more acute than ever before. Whether you’re creating a new sales and marketing strategy, or battling to overcome inefficient internal processes, it’s essential to act fast, decisively and accurately. In a world that’s always connected and with customers increasingly expecting instant, personalized service, any delay or misstep can ...significantly impact business performance. 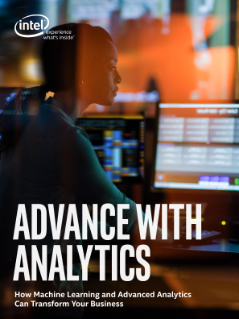 This eGuide will explore five areas in which advanced analytics techniques – such as machine learning and prescriptive analytics – can help transform your business. Discover real-world examples from Intel’s own experience and those of its customers.